Talia Castellano, the luminous, cancer-stricken 13 year old who became an honorary CoverGirl after inspiring hundreds of people with her Youtube makeup tutorials, passed away this morning after struggling with cancer. 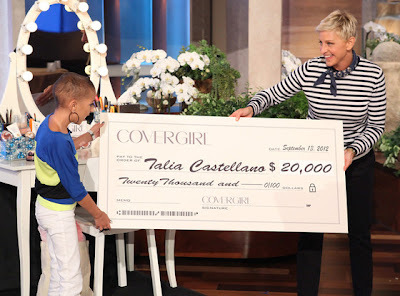 Talia was the first and only honorary CoverGirl after scoring impressive numbers of followers on her YouTube page. She was invited by Ellen DeGeneres to be a guest on her show. In this show she got a major surprise when she was named as an honorary Covergirl, and cosmetics giant presented her with an array of makeup products, a makeup table and a check for $20,000. 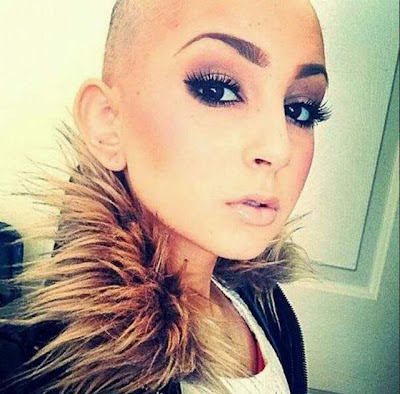 Talia was also featured in the documentary movie "The Truth 365," about kids fighting cancer. She was such an inspiration for so many people! RIP Talia.